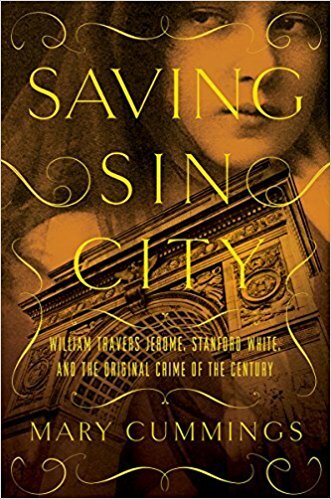 Saving Sin City is about the original “Trial of the Century” – the murder of society architect and man-about-town Stanford White by the husband of his previous (underage) mistress, Evelyn Nesbit, one of the most famous actress/models of her time. Mary Cummings – writer, historian, and award-winning journalist – tells the story of the murder of White in a voice that is equally entertaining and informative. Harry K. Thaw, the unbalanced heir to a Pittsburgh fortune, killed White in retaliation for taking the virginity of his wife, showgirl Evelyn Nesbit when she was just a teenager. There’s drama enough there until you add in the other vital part of this sordid crime – the ambitious District Attorney William Travers Jerome, a colorful hero/anti-hero in his own right, who had the opportunity to make — or break — his career with his prosecution of Thaw. Gilded Age New York City is such a lush, decadent, utterly over-the-top setting. It’s a world rampant with corruption, overflowing with money and potential (at least for some), and ripe for change. It’s a time period when population was shifting – from Europe to New York in the form of immigration, but also from countryside to cities due to the trifecta of manufacturing overtaking local production, electricity and public utilities offering untold potential for improvements in standard of living, and mass transportation in the form of trams, trains, and subways allowing mobility between locations – and social classes. The cast of characters is just as florid and varied as the location and time period. Each person involved in the story is full of quirks, foibles, failings, and secrets, offering a glimpse into a world gone by that is offered in glorious Technicolor. With equal attention to the political, social, economic, socio-economic, and legal aspects of this remarkable time, Cummings pulls together a deliciously dishy, taut tale guaranteed to grab – and hold – your attention from the opening salvo through the final notes. 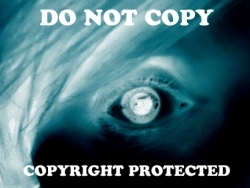 My review copy was generously provided by the good folks at Author Marketing Experts, Inc.